The perfect protection for external appliances. 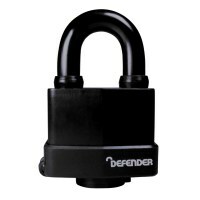 The Defender Weather Resistant Padlock has a variety of features, that make it the ideal lock for a range of appliances, these include: a laminated steel lock body, hardened steel shackle (which protects against saw and bolt-cutter attacks) and a keyhole cover; as well as a bump, pick and drill resistant cylinder, giving it another added layer of security. The key hole cover slides up, which helps to prevent dust build up. 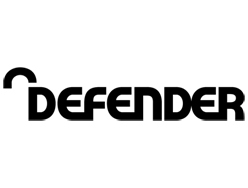 The Defender Weather Resistant Padlock is keyed to differ and comes with a two year manufacturer's guarantee as standard.